Let’s play trailer VS trailer. 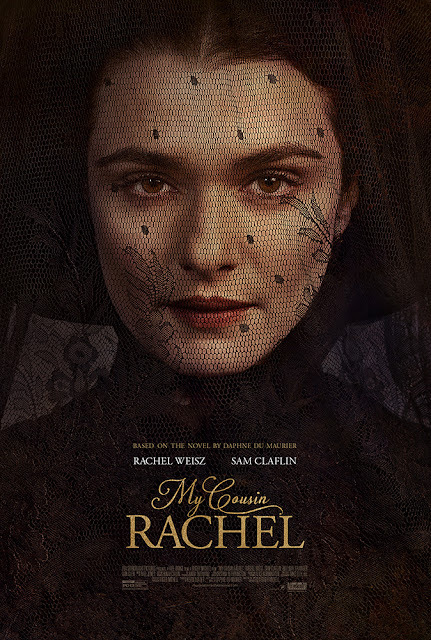 We talked about the upcoming remake of My Cousin Rachel back in 2016. The original starred Olivia de Havilland, who Feud watchers got to know a little better over the last couple of months as a friend to Bette Davis, played by Catherine Zeta Jones. Don't forget you can catch up and watch the awesome Feud: Bette and Joan series on FX on Demand. The remake starring Rachel Weisz and Sam Claflin is set for release in select theaters on June 9th. Have you watched the trailer? Rachel Weisz, looking gorgeous, has Sam Claflin wrapped around her fingers. Seduction, entrapment. I love seeing films that show women in a dark light, as powerful and dangerous as any male villain. Watch the trailer. Based on the classic novel by Daphne DuMaurier it’s a real killer. Now let’s watch the original. Don’t you love the melodramatic vibe? Richard Burton was a newbie with an intensity that’s quite different from Sam Claflin’s style. But it’s the women we’re watching today. A warning to the men out there, you shouldn’t judge a book by its cover. What do you think?